This special Music Together Vivo class weaves the current Music Together mixed-ages collection with traditional folk songs from around the world to create a culturally diverse, musically delightful learning experience. 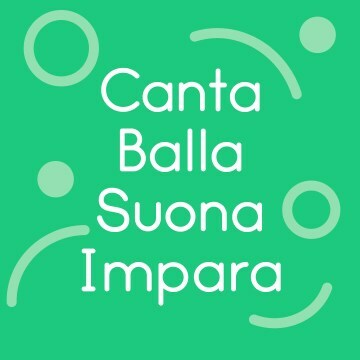 Many of the songs in the Music Together curriculum are translated into Italian on the CD and App, and full song lyric translations are provided for registered families. Taught by native Italian speaker Rita Morandi, children ages birth through 5 years absorb, play, and grow with songs, rhythmic rhymes and activities from around the world with an emphasis on Italian culture. Using the same developmentally appropriate, research based teaching methodology that sets Music Together apart, Music Together con Italiano will support your child onto her path to become a joyful music maker. Weekly 45-minute classes teaching a new song collection every session. Music App download code and CD each semester with the songs, rhythm chants, instrument "play-alongs," tonal and rhythm patterns used in class for 3 full years of new music. Recorded music includes song selections in Italian as well as in English. Translation booklet of song lyrics translated into Italian. Newly redesigned Songbook illustrated by award-winning artist Jaime Kim. The Italian Cultural Society of Washington D.C.